Eat what you grow, grow what you eat! St Peter’s RC School, Gouyave, the centre of learning for a total of 305 students, in the parish of St John, has commenced a new project with a simultaneous aim of feeding and teaching students. The project will also allow for numerous teaching opportunities, from basic nutrition and biology to simple economics and experiencing the satisfaction that comes from seeing things grow and produce from one’s own efforts. 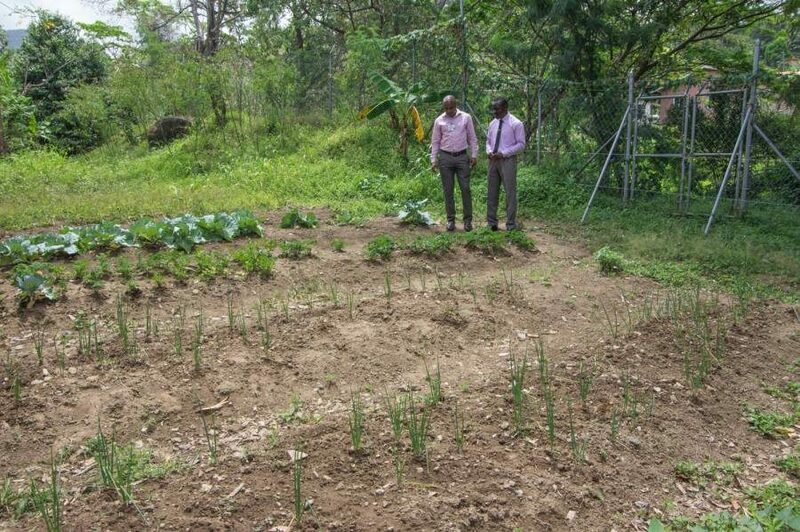 The success of the project, however, relies on the school’s ability to irrigate the garden and store water for the plants, and on this premise, Jonas Browne & Hubbard (G’da) Ltd. were successfully approached for assistance. 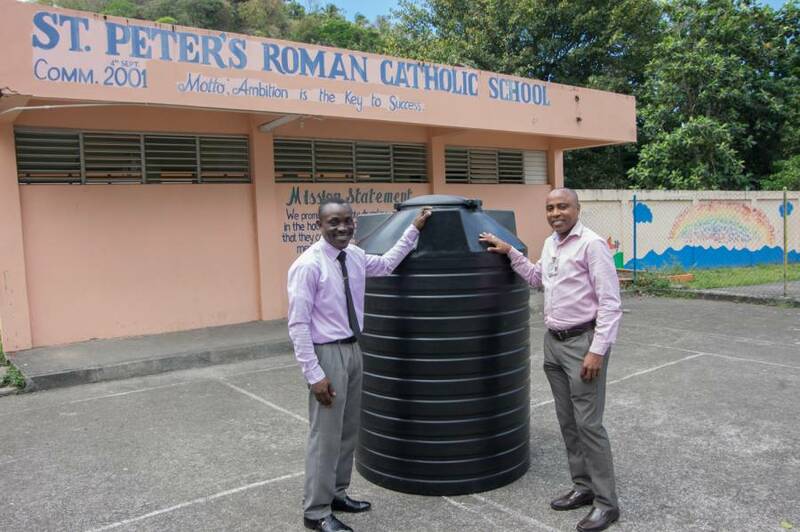 on 4 April 2019, Wayne James, Manager of Hubbard’s Building Supplies, Grand Anse, visited the school to present a 400-gallon water tank, which the company agreed to donate following receipt of the request letter from the principal. He stated, “On receiving the letter, we were captured by the slogan the school has adopted and such a positive move by the teachers to make this happen in a very real way. Our schools are where the future of the country lies. Healthy children mean healthy adults prepared to enter the workforce. We wish George and the school every success with their noteworthy project,” he concluded.